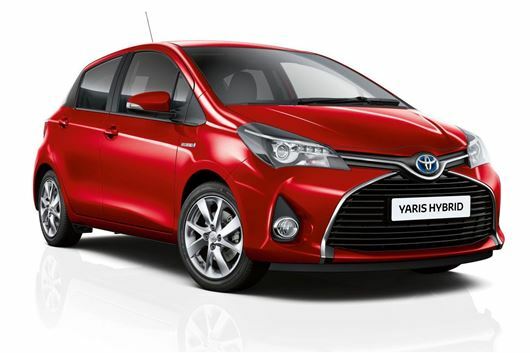 Toyota has unveiled two new versions of the Yaris Hybrid, called Active and Sport, with the £14,995 Active becoming the cheapest new Toyota Hybrid on sale. The Sport model is priced at a fiver under £17,000, but comes with kit including rear tinted windows, 16-inch alloy wheels, a rear spoiler plus a unique rear pillar that Toyota says gives the roof a ‘floating effect’. The entry level Active model isn’t badly equipped either, coming with dual-zone climate control, electric front windows and split-folding rear seats. The real allure of both these cars, though, is the claimed fuel economy - 85.6mpg average and 75g/km CO2, or 78.5mpg and 82g/km on the bigger wheels. An extra inch really does make a big difference. Both cars are available with zero per cent finance, and are available to order now.